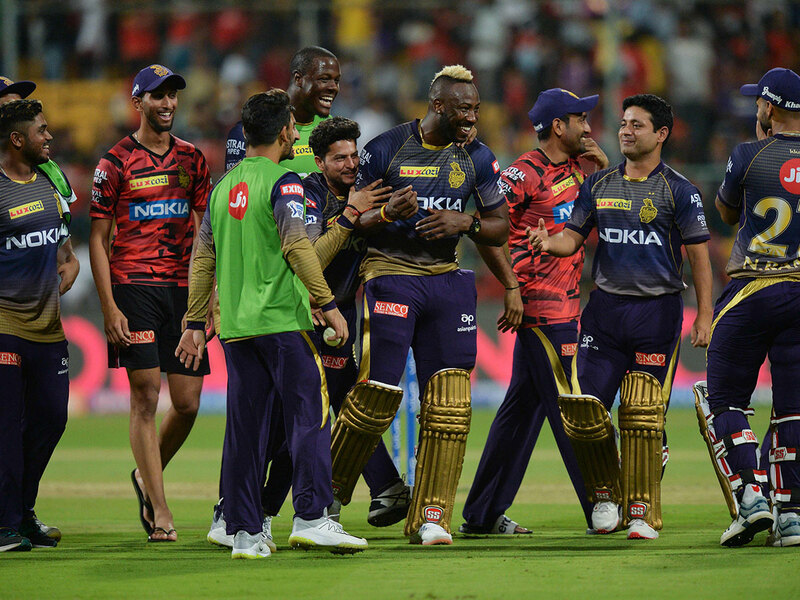 Jaipur: High on confidence after their magnificent victory over Royal Challengers Bangalore (RCB), Kolkata Knight Riders (KKR) will eye another dominant show when they take on Rajasthan Royals in an Indian Premier League (IPL) match at the Sawai Mansingh Stadium here on Sunday. On Friday, it was Andre Russell’s rampage, which powered Kolkata to a five-wicket win over Royal Challengers Bangalore while chasing a massive 206-run target. The purple brigade are currently placed second in the league points table with three wins in four matches and the Dinesh Karthik-led side will aim to keep the momentum going against an average looking Rajasthan. On the other hand, Rajasthan lie seventh in the points table after managing just a win from four games. Kolkata batsmen Andre Russell, Robin Uthappa, Nitish Rana and Shubhman Gill are in fine touch. After the win against bottom placed RCB, Kolkata will carry the belief to win games from any situation, thanks to Russel, who has single-handedly won matches for them. Rana has also been effective so far as the batsman has been among the runs, accumulating 169 from four games at a fantastic average of 42.25. Kolkata’s bowling will once again revolve around Sunil Narine, Kuldeep Yadav and Piyush Chawla as the wicket at Sawai Man Singh has been slow and low this season. Rajasthan, on the other side, have some stars in their rank with the likes of Steve Smith, Ben Stokes, Sanju Samson and Jos Butler. However, all of them have failed to live up to expectations. It would be a perfect time for all of them including skipper Ajinkya Rahane to deliver the goods as playing at home will certainly be an added advantage. Coming to their bowling, Rajasthan bowlers Jofra Archer, Jaidev Unadkat and Stokes have leaked runs in the death overs so far and will certainly have to look for a solution after Russell’s sensational fireworks against Bangalore. Rajasthan will once again look at Sherays Gopal, who has scalped six wickets from four games and was exceptional with the leather with figures of 3/12 against Bangalore. Overall, Kolkata will be favourites on Sunday. However, one can’t underestimate the power of Rajasthan, the inaugural title holder of the cash-rich league.